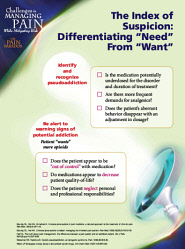 Below you will find the educational information presented during the IDEAL CME/CE activity May 6-8, 2010 at the American Pain Society Annual Meeting in Baltimore, MD. This material is provided for your information only. CME/CE credit was offered for participating during the live event only. Most patients on long-term opioids develop some degree of physical dependence. 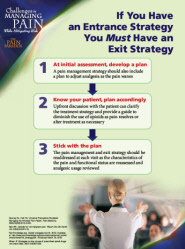 At what point during treatment of the patient with chronic, non-malignant pain, should an exit strategy be developed? 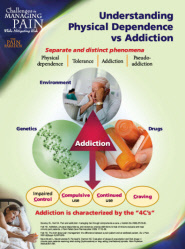 Are tools available that can substitute for clinical judgment to identify abuse and addiction? 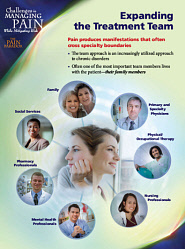 Is a team essential to treat every patient with chronic pain? 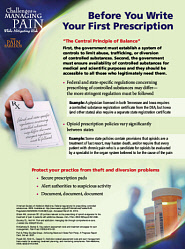 What to do when confronted with conflicting state and federal regulations on prescribing of controlled substances. 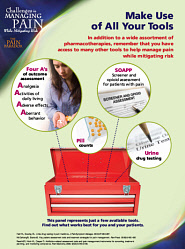 The live certified CME activity presented at American Pain Society was supported by an educational grant provided by Purdue Pharma L.P.